Or if you know how to edit the registry you can do it as in the picture below. 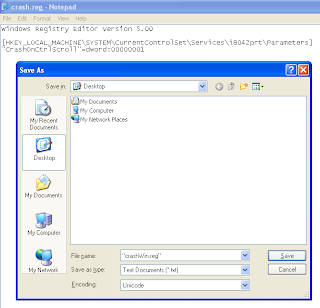 Right click the file crashwin.reg and select merge. 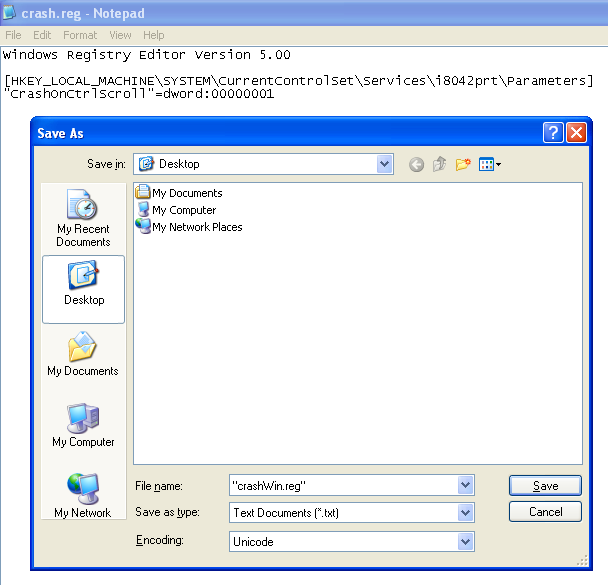 You will get a dialog box asking if you want to add information to registry. You will be greeted saying the information were added successfully. After your windows boots up, press and hold Right Control key(Left control key will not work) and hit Scroll Lock key twice. 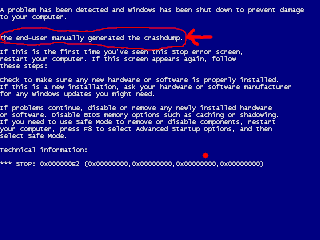 Your windows will crash generating the memory dump file. P.S. This is not a bug. 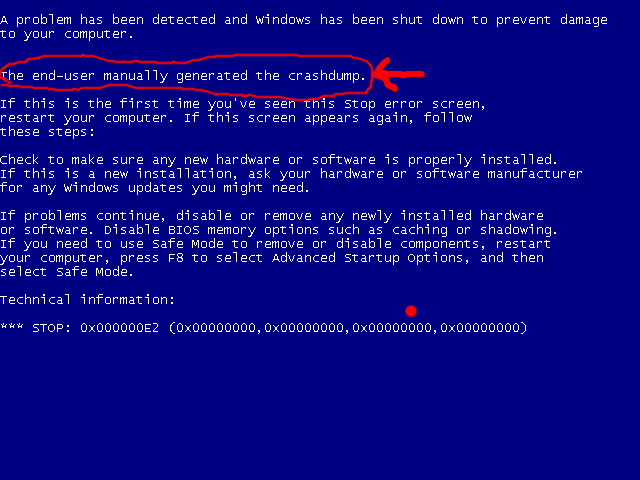 This is a feature provided by Microsoft to generate memory dump file. 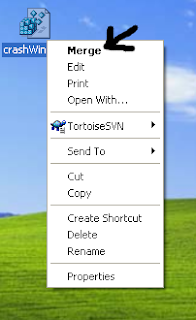 My windows crashes on whatever I do. So, no need of this for me. Anyways nice tutorial. I like it.